Looking for a way to up your wine IQ in just a few sips? Courtney Cochran’s Hip Tastes is the only guide you’ll need. 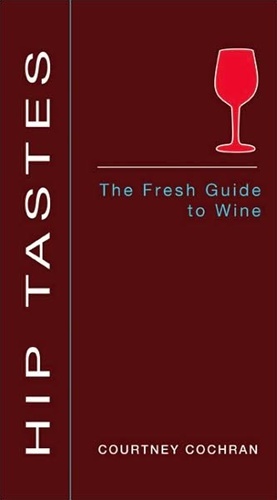 A go-to guide for everyday drinking at home, in restaurants, and anywhere else wine is found, Hip Tastes is for passionate wine novices everywhere. It proves anyone can enjoy drinking, serving, and talking intelligently about great wine. Cheers to that. Courtney Cochran is a certified sommelier and founder of forward-thinking wine businesses Your Personal Sommelier™ and HIP TASTES Events™ in San Francisco. When she’s not entertaining private and corporate clients as a private sommelier, she enthusiastically caters to wine enthusiasts in San Francisco nightclubs and bars with her popular HIP TASTES Events™ wine tastings. C Magazine called Cochran “San Francisco’s Most Wanted Wine Guru” and she has been profiled in Vogue.